Who Won Israel's Latest War? There is a measure of thanksgiving, or at least relief, in the land of Israel. With the ceasefire, Israelis are grateful that their young men waiting on the border—and almost everyone has a husband, son, brother, friend among those 70,000 reservists—will be spared the horrors of fighting in Gaza. They are grateful that the civilians in southern Israel can now emerge from their shelters. And they’re grateful that the Jewish state won’t be depicted as a war criminal by Hamas propagandists reveling in the deaths of Palestinian civilians caught in the crossfire. In the coming days Israeli leaders will attempt to convince voters—election season is about to resume—that this was an Israeli victory. In some sense, they will be right. There’s certainly a case to be made that this round of fighting was not, at least, an Israeli defeat. Militarily, Israel destroyed several thousand rockets and much of the Hamas infrastructure. Despite over a thousand rockets fired at Israeli cities and towns, Israeli casualties were minimal, thanks to the Iron Dome anti-missile system, the real hero of this round of fighting. Egypt has also assumed tacit responsibility for Hamas, which now has to answer to its new patron. There is now a potential address for Israeli grievances if Hamas violates the ceasefire, and for American pressure on Hamas. Israel’s relations with Washington have also been strengthened. After creating the widespread impression of interfering in the American election campaign against President Obama, Prime Minister Netanyahu responded to Obama’s intercession to accept a ceasefire. It wasn’t easy: Netanyahu was under growing domestic pressure to resist. There were spontaneous demonstrations all over southern Israel demanding that the offensive against Hamas continue. And when the ceasefire was announced, two leaders from the center-left opposition—Shaul Mofaz of Kadima and Yair Lapid of Yesh Atid (There Is a Future)--condemned Netanyahu for showing weakness. As the election campaign intensifies, Netanyahu will be mocked—by the left!—as indecisive, failing to fulfill the Likud’s long-standing promise to topple Hamas. 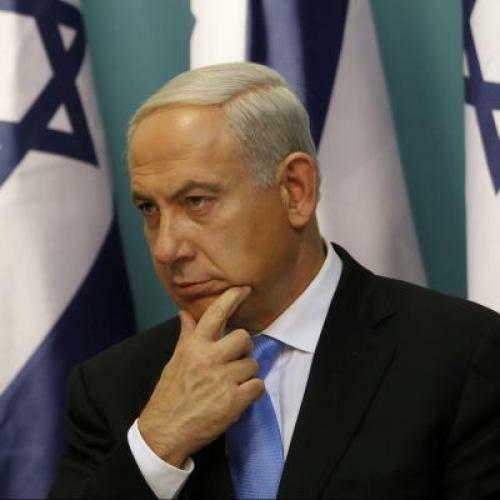 In preventing an escalation in Gaza, though, Netanyahu can now restore focus on Iran. Three times in the last six years, Israel has been lured into fighting Hamas and Hezbollah, two terror organizations aligned with Iran. Given the possibility of a looming Israeli confrontation with Iran over its nuclear program, government officials here reasoned that it was better not to continue to deplete Israeli resources on diversionary conflicts with Iran's proxies. Still, as one Israeli official admitted to me just after the cease-fire was announced, no one here is celebrating. Yes, Israel destroyed an impressive number of Hamas missiles, and the Iron Dome was a stunning success. But Hamas still has thousands more missiles. And the Iron Dome is outrageously expensive: every anti-missile launching cost $50,000. If in the next round of fighting—and few Israelis doubt there will be one—the war widens to include other forces, the Iron Dome’s capacity will be exhausted. Hezbollah alone has an estimated 80,000 missiles, many of them sophisticated, and all of them aimed at the Israeli home front. Politically, Hamas’ prestige has been boosted in the Arab world, and especially among Palestinians. (Correspondingly, the big loser is the leader of the Palestinian Authority, Mahmoud Abbas.) A ragged terrorist regime managed to do what hasn't been done since the first Gulf War in 1991: fire missiles at Tel Aviv. Tel Aviv may be, according to some international surveys, the world’s best party city and the most gay friendly; but Hamas has reminded Tel Avivis that they also live in the most endangered city on the planet. By firing three missiles at Jerusalem, Hamas also ended the long-standing Israeli assumption that the Holy City, with its large Arab population and the Dome of the Rock, was immune from aerial attack. Here too Hamas’ message to Israelis was devastating: No place is safe anymore. As for Israeli deterrence: Hamas called Israel’s bluff on a ground offensive, and Israel backed down. The mobilization of the reserves was apparently nothing more than an exercise in intimidation. Yet Hamas leaders hardly seemed intimidated. Come on in, they taunted Israeli leaders—fully aware of just how reluctant Israel was to topple Hamas and risk being turned into an international pariah. Hamas leaders acted as if they’d been eavesdropping on Israel’s media debates over a ground invasion, or else reading the polls that showed most Israelis opposed to one. Government ministers spoke openly about the futility of a ground invasion, even as the reservists were gathering on the border. During one TV panel, the education minister, Likudnik Gideon Sa’ar, confessed that there was no alternative to Hamas rule. The strategy of deterrence toward Hamas has always depended on projecting the opposite message. In the streets of Gaza City, Palestinians celebrated Hamas’ victory. Netanyahu will have to work hard to convince Israeli voters that those celebrants were wrong. Yossi Klein Halevi is a contributing editor of TNR and a senior fellow of the Shalom Hartman Institute in Jerusalem.